These microphones are now more than just an insider secret. They have been able to secure their place in live performances and in the recording area. With the best price-performance ratio and amazingly luxurious equipments, these microphones have already found many fans. 182 customers have given this product a 5-star rating. Of these, 155 customers have written no texts or given their feedback in another language. Of these, 83 customers have written no texts or given their feedback in another language. I wanted to buy a pair of small diaphrahm condenser with cardioid characteristic to record especially steel string acoustic guitar. I had about three hundred Euros for this purpose. I could rent 2 famous and acknowledged microphone what recommended for acoustic guitar in this price range. useful, has good sound quality - you need certainly a good quality audio output). I read tons of user review and tech spec. Finally I bought this mics. And I got what I expected. Love. I? ve never heard my guitar sound so great on a record. has body on the record, in case of also a distant mic position (what gives natural space). As an inexpensive small diaphragm condenser doesn?t boost annoying the high frequencies. a vintage 70? character for the drum set. I record percussion with good result. I couldn?t feel such specially thing, I founded them quit average. So I think this mics are the best for acoustic guitar. transient response compensate well the sharp attacks of the picking. Naturally for a professional record you need also a great instrument with fresh strings, a good audio chain, and good microphone position. 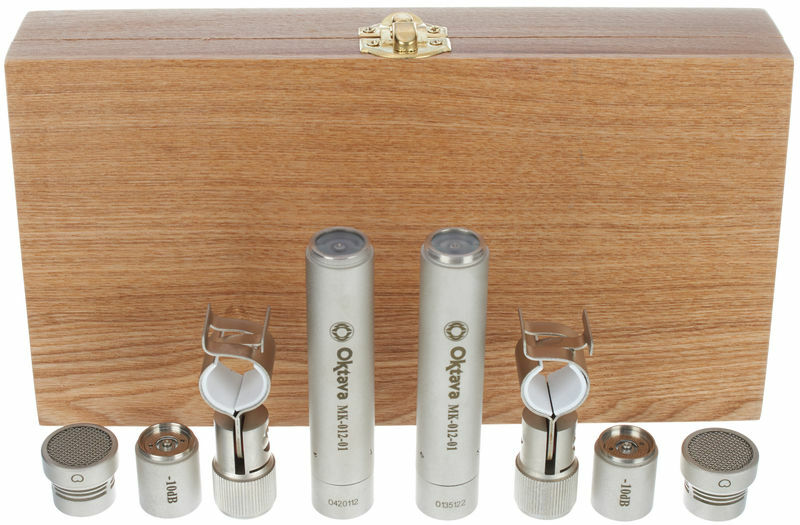 I read somewhere, and I agree : Oktava mk-012 01 is imaginable on a grammy award winning record as an acoustic guitar mic. I think its a good result for a 315 Euro stereo pair. Now I have a double priced pair of sdc. ( I made a new hunt ) This pair is better, but the difference not so significant. If you don?t have double money, and you want record steel string acoustic guitar, this mic is probably the best choice. I've bought this matched pair to upgrade my mics to record OH Drums, but i've been nicely surprised for his versatility. 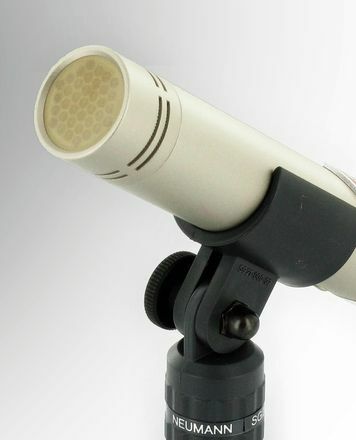 the sound is very valid, it results pretty faithful to frequencies, maybe with a subtle emphasis to mid/low spectre; it results great for recording OH, but also for acustic and electric's guitars; the most impressive consideration is about the room's reverb: compared to other mics, the mk 012 dull almost every reverb's reflection, resulting much detailed and accurate; this detail is not absolutely a small thing if you wanted to use the microphone for broadcast contexts, specifically for outdoor shooting, as it destroys almost all the reverb's reflections, compared to Rode ntg-3 (clearly for outdoor shooting). Overall it's a mic by the excellent ratio Quality / price, very versatile, and allows you to experience a lot, I would advise buying. ID: 165104 © 1996–2019 Thomann GmbH Thomann loves you, because you rock!